This is the second part of Mathematics Logic Brain Cracking Problems. 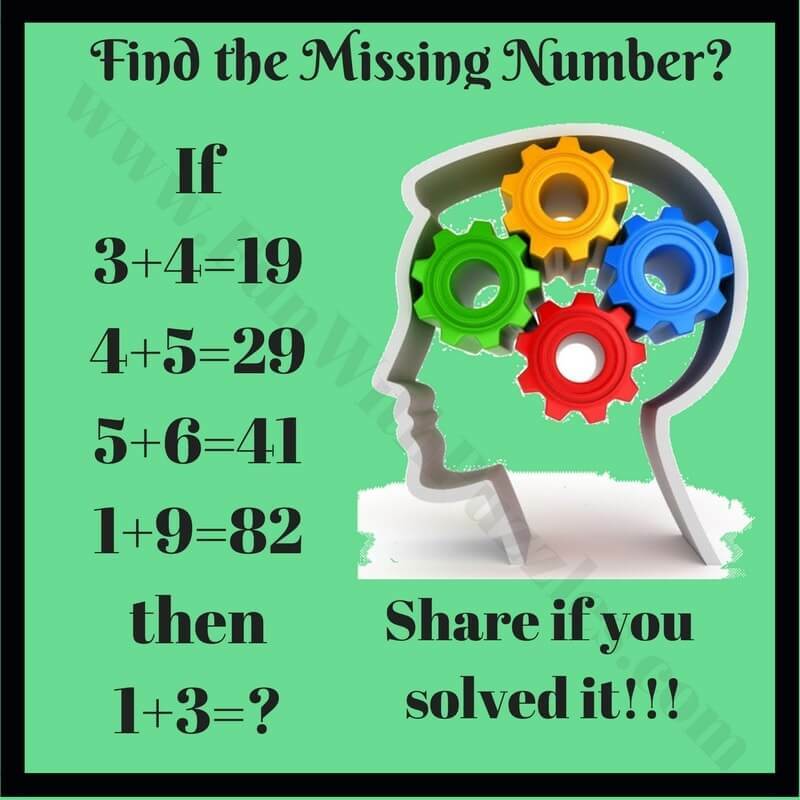 These are the mind challenging puzzle questions which will not only test your Mathematical skills but also logical reasoning. In these picture puzzles, you are presented with some equations which are Mathematical incorrect but these equations contains some logical pattern which makes these equations logical correct. 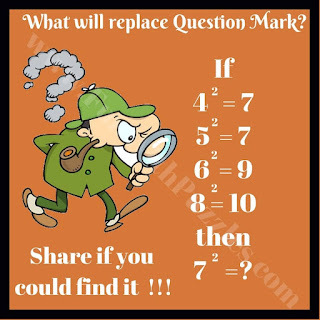 Your challenge is to find this logical pattern and then solve the last equation. 6. Can you solve this Maths Equation? 7. Can you solve this Math Tricky Riddle? 8. 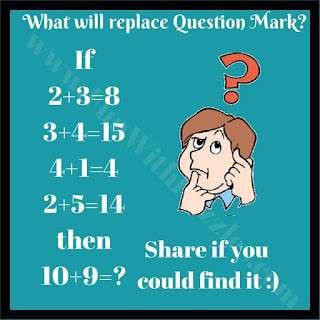 Can you solve this Mathematical Puzzle? 9. 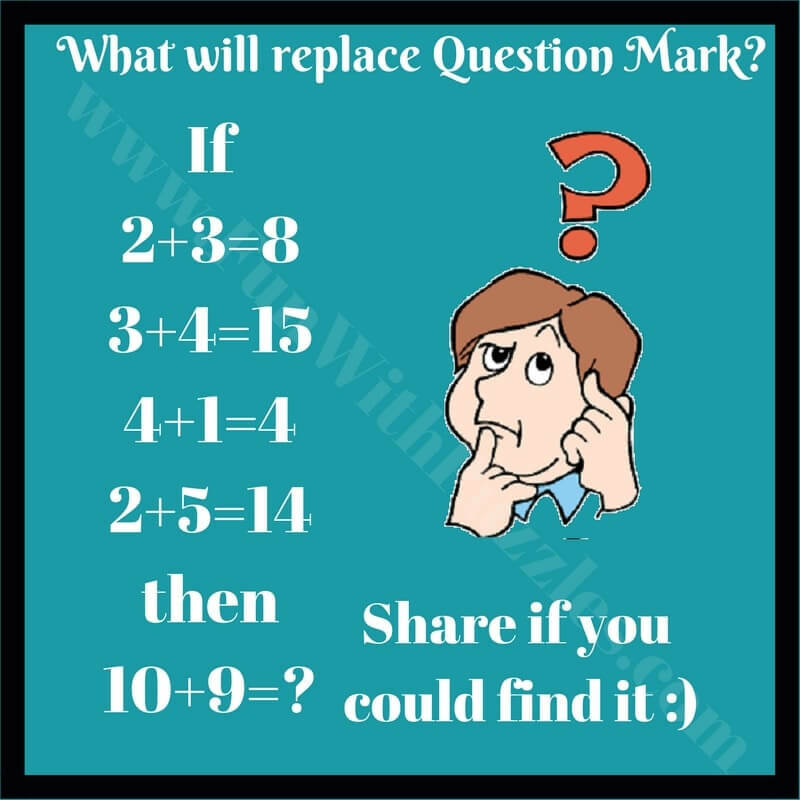 Can you solve this Tough Maths Puzzle? 10. 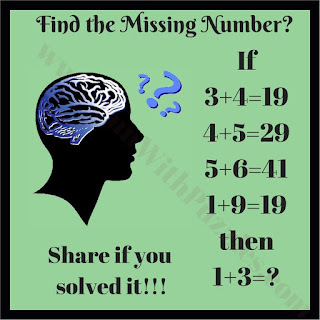 Can you solve this tricky Brain Puzzle? 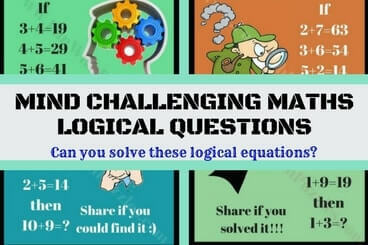 These Maths Logical Questions tested your Mathematical ability and your logical thinking. Do checkout below listed fun puzzles and brain teasers to test your brain. 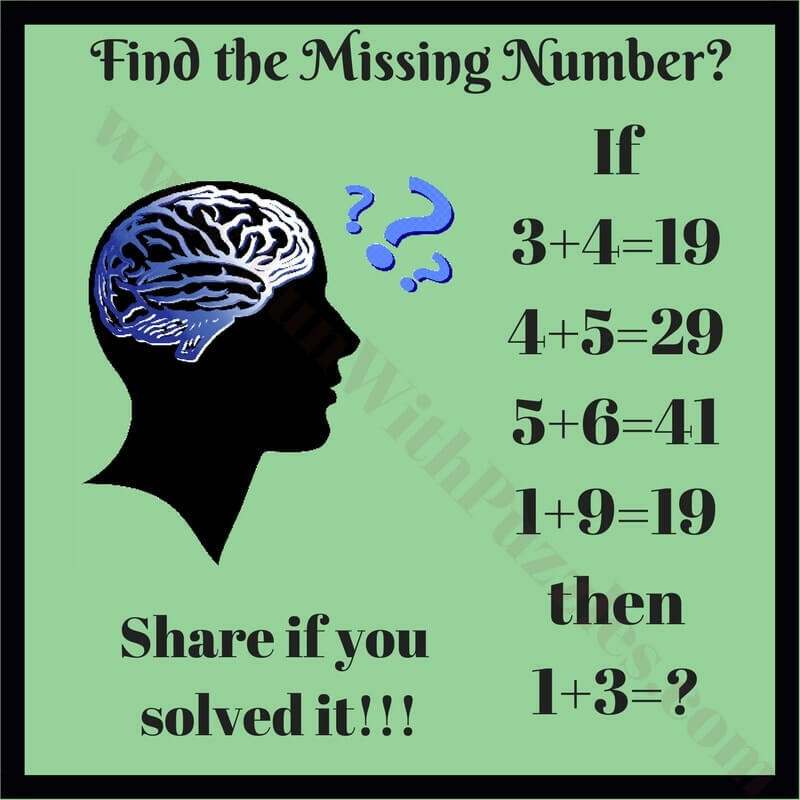 Tricky Maths Mind Game Brain Teasers with Answers and Explanations : These are the tricky Maths Mind Game Brain Teasers to test your logical reasoning and Maths knowledge. Brain Teasers & Riddles IQ Test for Teens & Adults with answers: This is simple and easy brain IQ test which includes logical puzzles, Mathematical puzzles and spatial puzzle. Simple Fun Brain Teasers for kids with Answers : These are very interesting puzzles created by kids. 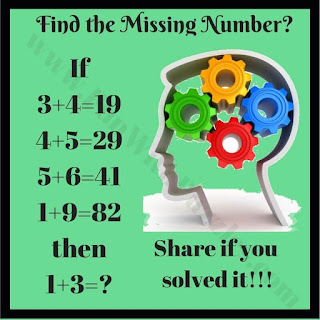 Interesting fact about these brain teasers is that kids will be able to solve these puzzles easily. 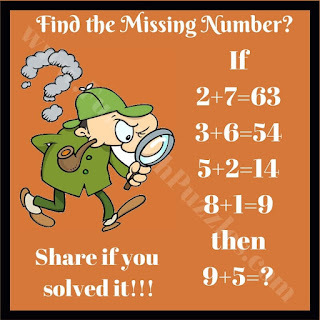 However teens and adults will take comparatively longer time to solve these puzzles. 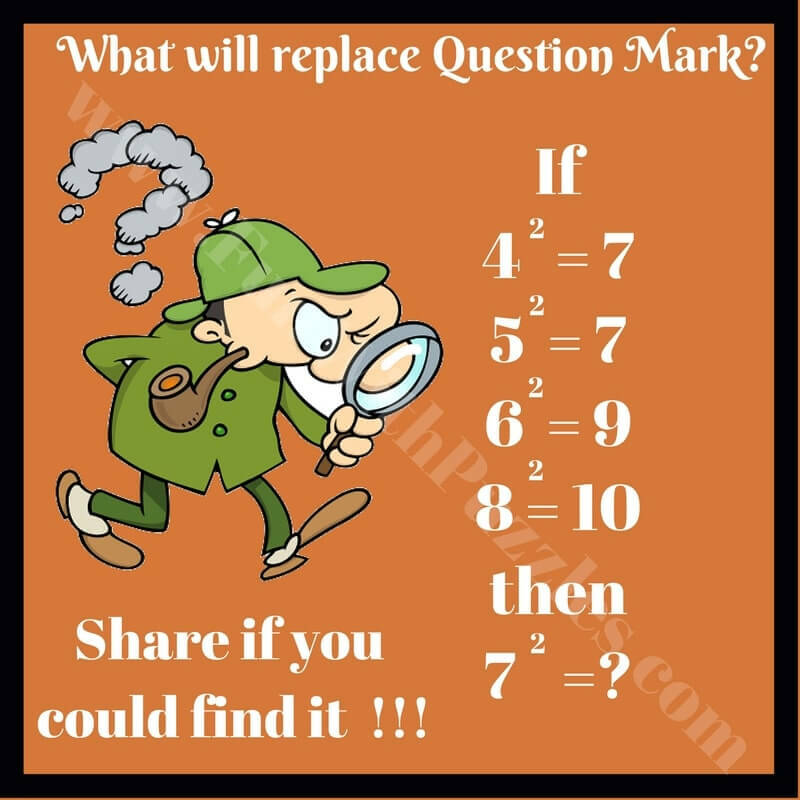 Interesting Maths IQ Riddles for Kids and Teens With Answers: At last there are very interesting Maths IQ Riddles to test your brain power.